During 20 years working with the Washington Department of Ecology's Environmental Laboratory Accreditation Program, I found the biochemical oxygen demand (BOD) analysis and its derivative, the carbonaceous BOD (CBOD) test, to be especially challenging for many analysts. Several years ago, I co-authored a book on the test with Mike Raynovic of North Central Labs (NCL) of Wisconsin, our goal being to remove much of the mystery from the BOD test. That book, Laboratory Testing for BOD and CBOD, is still available (www.nclabs.com). 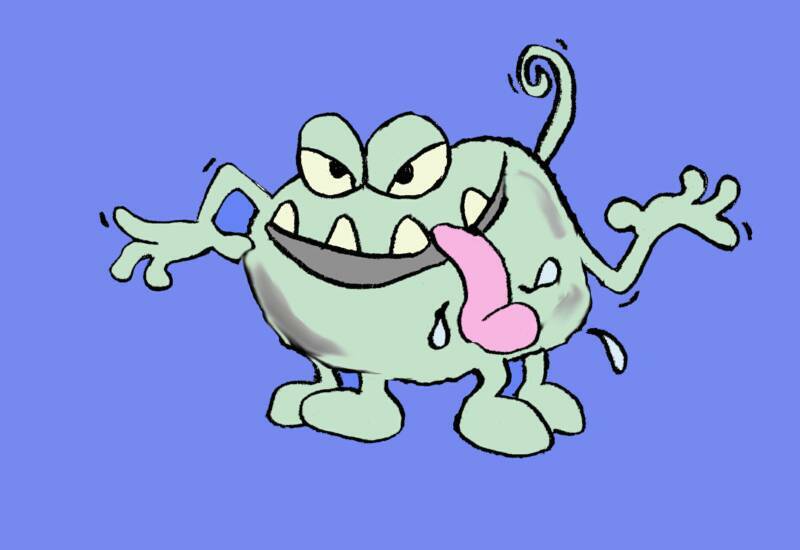 bacterium...hence the name of the book, A Bug's-Eye-View of the BOD Test, and its healthy- and hungry-looking mascot. The 54 pages of text are filled with explanations of confusing passages in Standard Methods 5210B, warnings about common pitfalls, and suggestions for overcoming problems. A troubleshooting guide focuses common problems, suggests causes, and recommends potential corrective actions. But perhaps more valuable that the text itself is a supplementary compact disk (CD) that comes with each book. On it are interactive Microsoft Excel® files that calculate BOD results for both the bottle and graduated cylinder methods, Excel® files that automate construction and use of precision control charts, a comprehensive checklist keyed to paragraphs in the text, a tutorial on statistics as they apply to the BOD test, copies of pertinent EPA and NELAC/INELA documents, and various other helpful documents. Files on the CD are updated periodically, are not copyrighted, and may be used at will. 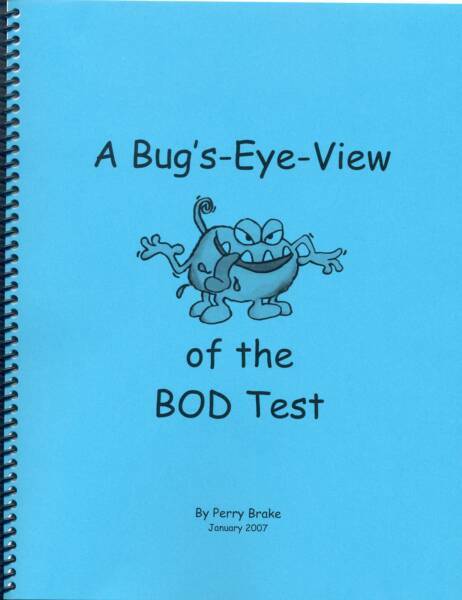 Many of the files can be accessed at a web page I call "BOD Solutions", but if you are interested in the rest of them, check out the entire contents of the booklet and its supplementary CD here. The book was last updated in June 2010. I am probably a little prejudiced, but I think this book is a must-have for those who want to recover from problems they are encountering with the BOD or CBOD test, or want to avoid problems in the future. To order your copy(ies), e-mail me or send a purchase order to pudljumper1@comcast.net or call [home (253) 565-5350, cell (253) 376-3159] with your mailing and (if different) billing address. I will ship the book(s) the same day and send an invoice which you can pay by cash, check, Pay Pal®, or money order (sorry...I'm not set up for credit/debit cards). Price is negotiable for bulk sales. Effective Jan 1, 2014, Environmental Express (envexp.com, 800.343.5319) purchased the rights to this book. They are now the sole provider of the book.